Chinese tech giant Huawei is having a nightmare week. Huawei is reportedly facing a criminal investigation in the US over suspicions it stole trade secrets, lawmakers are trying to stifle the firm, and it is being blocked from helping build 5G networks. China is lashing out, accusing the US of "McCarthyism" and saying it is "using every possible state apparatus to suppress and block" Chinese tech firms. Reclusive CEO Ren Zhengfei said this week that Huawei has had "no serious security incident." China is lashing out the US as the firestorm of security concerns around technology giant Huawei grew in intensity over the past week. The Wall Street Journal reported that the US Department of Justice has launched a criminal investigation into Huawei over suspicions it stole trade secrets from firms like T-Mobile. The investigation was sparked in part by civil lawsuits, including a claim that Huawei misappropriated robotic technology from T-Mobile. Huawei later settled with the US firm. A bipartisan group of US lawmakers introduced bills on Wednesday attempting to ban the sale of American microchips to Huawei. China called the idea "hysteria." Germany is considering is blocking the company from helping build its 5G cell phone network, according to the Financial Times. It follows similar moves in the US, Australia, and New Zealand, while the UK has also raised concerns. The FT also reports on warnings from US lawmakers that Huawei's solar equipment could be hacked to disrupt America's electricity supplies. Tom Marino, a Democratic representative from Pennsylvania, said in a letter to Energy Secretary Rick Perry that he was "concerned that the company's entrance into large-scale and residential solar markets may pose a threat to our nation's infrastructure." The University of Oxford said it has stopped accepting funding from Huawei, citing public concerns over security. "The decision has been taken in the light of public concerns raised in recent months surrounding UK partnerships with Huawei," it said in a statement, according to Reuters. China has been consistently robust in its defence of Huawei, and on Thursday Hua Chunying, a spokeswoman for the Ministry of Foreign Affairs, went on the offensive again. "People around the world all know very well the true intention of the US using every possible state apparatus to suppress and block Chinese high-tech companies," she said. "What the US side is doing is not the normal thing a normal country will do, still less a proper behavior for the number one power in the world." On the threat of a trade secrets investigation, Hua added: "We are concerned over the reports that the US federal prosecutor is conducting criminal investigation into this case, which is rather abnormal. We particularly doubt it real motives." Elsewhere, Hu Xijin, the editor of the state-run Global Times newspaper, accused America of "McCarthyism," a political tactic of levelling serious allegations without significant evidence. "By escalating its crackdown on Huawei, the US sets a bad precedent of applying McCarthyism in high-tech fields. It deprives a high-tech company of the rights to stay away from politics, focus on technology and market," he tweeted this week. Such is the crisis engulfing Huawei, reclusive CEO Ren Zhengfei spoke to the press for the first time since 2015 this week. He attempted to calm security fears around the company and called Donald Trump a "great president." Ren said Huawei has had "no serious security incident" and there is "no law in China [that] requires any company to install mandatory backdoors." 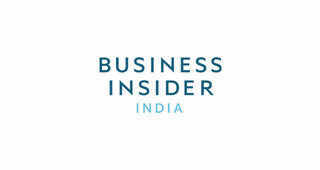 Business Insider has contacted Huawei for comment. In remarks to other press, it declined to comment directly on the potential DOJ investigation, but said: "Huawei and T-Mobile settled their disputes in 2017 following a US jury verdict finding neither damage, unjust enrichment nor wilful and malicious conduct by Huawei in T-Mobile's trade secret claim."